All to often people get caught up on how much money someone is making per month without understanding HOW that person got to that desired income level. I never got to the amount of money I am making by simply putting a few posts online. It took months, of writing and learning in the beginning before I saw my first 69 cent month back in 2012. But after making that 69 cents, I knew that if I could make any money online, the sky is the limit. Fast forward 5 years and I never ever thought I would be where I am today. So by doing this 12 month case study of an amazon affiliate website of mine, I hope you too can see the benefit of pushing through the tough times in the beginning and trusting that what WA teaches simply works!. This is just one of the many websites I own and work on. This case study works out to be about 3 posts published every 2 weeks. So I did not pay that much attention to it, yet it still brings in enough money to call it a success (In my eyes anyway). Plus I plan to build this website out to cover many many more sub niches of the main niche. At the moment it only really covers 3 types of products within this niche. Yes that is 80 posts talking about 3 types of products and I'm still not ranking page 1 for the main "best product keyword". In time I trust it will. The MAIN takeaway from this post is that had I QUIT on my site/niche after 6 months, I would not be making $500 a month from it now and in the future. I consider this to be a realistic level to be at for a complete beginner after 12 months. Obviously, one can make a lot more than $500 month after 12 months. But this was designed to be a slow and steady website publishing at a slowish/regular rate. Below you can see I bought the domain on the 08th July 2016. So in 5 more days the domain will celebrate its first Birthday :). Also note the 82 posts. Which works out to 3.15 posts every fortnight. Which is totally achievable by anyone. Notes: Brand new domain, nothing too unexpected here. Was not expecting site to earn for several months. I have had a brand new domain make its first sale in just 7 days. But this is rare from my experiences. Averaged 2 posts a week to get the site rolling faster. 3 months in and only 3 sales. Seems rather depressing right. I'm not sure this affiliate marketing is worth it right. It won't even cover my WA membership fees. Or will it? Should I just give up?. Notes: Bad conversion rate this month of just 1.69%. Nothing exciting happening with the traffic/sales YET. Notes: 5 months in and still can't manage to pay the WA membership. Good thing I have other sites making up the difference :). Terrible conversion rate of just .92%. Starting to really thing about pulling the plug on this website. But I dig my heels in and don't let up. Notes: Finally, my casual site is paying for the WA membership. Very impressed with this month compared to the starting 6 months. Notes: Starting to thank my self for not dumping this website after just a few months of existence. Notes: Almost a sale a day. 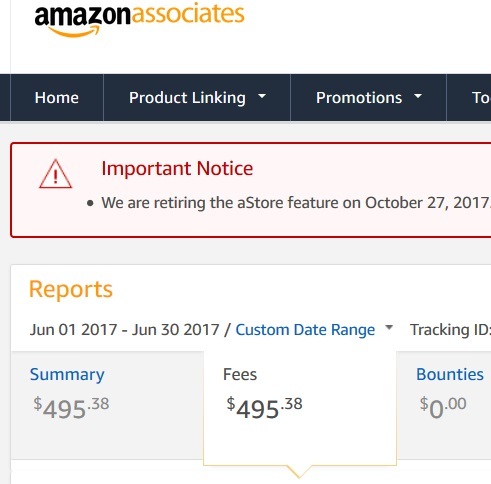 Hit with the bad news that Amazon changed their commission structure. Previously I was making 8.25% on just about everything I sold. Now for this niche I'm averaging 5-6% commission. Which is a huge amount of money that I will never receive now. Normally I would have made $163.35 this month, but with the amazon change I now lost $40 just on this one website.. So now I must work harder to gain back that lost 30% income!. Also moved into our brand new home this month and had no internet for weeks. Hence just 4 posts this month. Notes: Finally reached the sale per day level. Notes: 12.34% conversion rate!. Awesome. One Year Old Party!! So after being online for 12 months this site of 82 posts has made $1244.03. Because I am a annual member of both Wealthy Affiliate and Jaaxy, my total expenses would be about $600. This doesn't sound like it made much money right?. I am not worried at all. Why? Because if you took notice of the month by month case study, with exception to the opening few months, the amount of clicks and amount of sales was going up every month. So more than likely, July 2017 is going to pass $500 this month. From here on, I am pretty much guaranteed $500 month making it a $6000 a year site. This is bare minimum of course. The Site Is Still New! While 12 months may seem like a long time to many of you, it really isn't in the online world. Many of my posts aren't even ranked on page 1 YET for the desired keyword. Yet, it is still pulling in traffic and making money. So in time, with more content targeting low hanging fruit, I Will make more page one appearances and my income will skyrocket. I won't stop on this site until it is a $5-10k month site. I plan to sell it one day to pay off my mortgage in one payment. My online income paid for the house and land deposit and it WILL pay for the entire loan :). As I have other websites, like my WA referral site (https://my.wealthyaffiliate.co...) that in total make me and my family enough money to live a happy life I can afford to sell this website when it is ready to be sold. Just so you know a 10k a month site can sell for over $200k USD. So for that reason I won't be revealing the url for this domain, so please don't ask. This can be applied in any niche. This niche is not unique, it has a lot of competitors and I simply found my way in by using Jaxxy to discover targeted long tail buyers keywords. If you are an Amazon affiliate, you would be aware of the vast range of products to promote. This is super awesome, unless you are promoting $5 products. It would take you a boat load of $5 sales to make any real money. So I am going to leave this post and finish it with a small comparison between 2 sites of mine. This case study site has more posts, but is younger. This case study posts product ranges from $20-$150. Whereas my older established site, the products start around $200+. So don't waste your time on cheap products if you are solely in this to make money. * In case you can't read the image. The older site with less posts but higher priced items made $595 from 865 clicks compared to this case study site which made $495 from 1556 clicks in the month of June 2017. I was wondering if you could share your progress so far with this website. Where is it now and how is it doing? I have a completely different scenario. I have started mine in March (the first article published) and combined organic traffic was about 30 between March and August. Later in August I have finished mine internship and had much more time to invest in my future asset. As the result, I have seen 16 organic traffic in September and 80 in October, but no sales as there are 2 articles that bring most of the traffic and both aren't products but informative. Aiming for 100+ in November. Now my website is currently over the 100k words and has 43 articles published. So, curious how it will roll from now on, I am just afraid that it will fall back to nothing. Hi Eugen, The stats are as follows. Site is now 27 months old and has 175 posts. For the year so far: 1st Jan 2018 to 31st Oct 2018. 39,645 organic traffic, Clicks to amazon: 15,284. Total Revenue for the last 11 months: $3286usd. Compared to 2017 stats organic traffic 31,779, clicks to amazon: 12801 total revenue $3241usd. So there has been some growth as this year with 2 months to go I have more traffic, more clicks and more revenue compared to 2017. But overall I think I went too broad in the niche while trying to expand. So it hasn't been as successful as I hoped. So now I'm treating it more of a long term site that will eventually have 1000 posts etc. I've also added google adsense onto the site in last 2 months which has reduced number of clicks to amazon and sales. So I'll keep testing the site with ads for a few more months and decide if I want to remove them or not. I do have a handful of sites so I don't give this site the love it needs. I average 1 post a week atm. I haven't lost total interest in the site, but because it is so seasonal my time is better spent on my year round niches. As you can see in the attached traffic image. It's great that October is your best month yet. For me October is the worst month of the year. Less traffic and less sales for whatever reason. So who knows, by December you may be making some $$$ :). Just got to stick with it and keep building your empire. If you get to a point and you feel its not working as well as you hoped, maybe then consider changing things or a new niche. I started a new niche site in January this year which is doing better than this site already with less than 60 posts. Sometimes it really is the competitiveness of the niche. Hi Josh, thanks for posting this. My site is 8 months old, I have 85 posts. All of my posts are well over 1,000 words, probably averaging 1,500. I am currently getting about 50 organic searches per month, which is a lot less than where I think I should be. I am definitely using low competition KW's. My niche is pretty tough, but aren't they all? I feel like I am following the process, but just not seeing any results. Any suggestions? Some niches are certainly harder than others which could possibly be the cause. I agree that you should be getting more than 50 traffic a month after 8 months and 85 posts. If you want me to have a look at your site, PM the address and I'll have a look at what could be the problem. Hi Josh, just wanted to say I've just joined and I'm Oz as well. Nice to see I'm not alone in my ambition here in Australia. I've not shared with too many about what I am up to. The small country town approach is that 'online stuff is not real work' etc. So I will quietly go about my business, gain inspiration from this community and will follow you to help me see persistence is the key. cheers mate. Hi Josh! this is a great blog. Got me thinking about other niches. My present niche is a bit broad though there are related goods I can sell on there as an affiliate but I think on my next venture I will narrow it down. What I was wondering though was if there was enough traffic! exactly what is the minimum in QSR,Avg, Traffic should we be looking at before we know there is a decent market there for it? Hi Ann. The stats I look for are searches per month. Usually above 40. Then Qsr usually below 50 but even 50 is too high in the early stages of a site. So provided I can find 20 to 30 keywords in this criteria I will consider the niche. Thanks for posting Josh. This has motivated me even more! I made my first Amazon commission just after a couple of months being here on an old website, however, it was promoting a lower priced item. I'm now concentrating on the Bootcamp training promoting WA before I return to the other website. I'm glad I found your post, it has inspired me alot. We had similar results at the beginning. I had a couple of huge setbacks that costed me about 1 month for each and I have been trying to catch up since. My website just turned 8 months old and I'm still beefing up my articles/posts. I made 3 sales so far which is great. I will eventually get there, and can see it is even more possible now. Hi Patsy, great to see you have made some sales. Some niches seem to move faster than others, but I found this case study to be about average for me. So I refer back to it on other sites to compare stats. You will eventually get there. Stopping is the only way you won't :). Best wishes. Thanks Joshua, I won't stop. I had my content and images stolen and shared the process so we can all learn and that made me think, if it continues I don't know what to do. Hey Josh, I just reread your case study again and have one more question. Your conversion rate was pretty low at the beginning. What have you changed to improve it? Did you add more CTA'S or did you add more Amazon (native) ads? Hi Anke, no I didn't do anything new. I guess the folks weren't in buying mode at the time haha. I do find that at the start of a site for some reason the conversion rate is lower. A few of the clicks could have been from me as I was changing images over at one point. But not that many clicks to affect it greatly. I rarely use native ads as I don't like displaying the price. I want people to click on my text link or image to check the price. Cookie is set then. Hi Josh, thanks for your answer. Very interesting because I am experiencing a similar situation with my new niche site (4 months old). Initial sales and now it has slowed down.That's why I was asking. It's going to be interesting to see how it will evolve in the next few months. This is a very inspiring post - I'm literally just staring to make money through affiliate sales and as you say, even a small amount proves that it is possible to make money online - which is incredibly exciting! Well done on sticking with it and making some money. Even just a small amount snowballs into bigger monthly payments with consistent work as seen here. This site is always growing, so I hope in the next year or so it can reach the 5k month. Would be great to sell a site for that much! Thank you SO MUCH for this break down. I like numbers and I can have really high (i.e. unattainable) goals set for myself and this tempered them some. Which is good, cause then I won't be so discouraged when I don't make $1000 within my first couple months. Kinda disheartening, too (I really like those unattainable goals lol), but good to know. Either way, I'm mastering this and that's all that matters. Thank you!!! 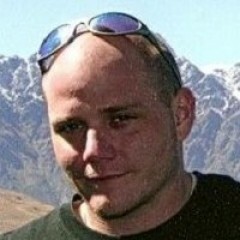 Great post, Josh, breaking it down like that is such good motivation it can be hard slogging away my take home is your focus on that higher price range thanks for sharing and all the best with that new house it will be a real sense of pride knowing that your online activities got you there. It certainly is Alexander. 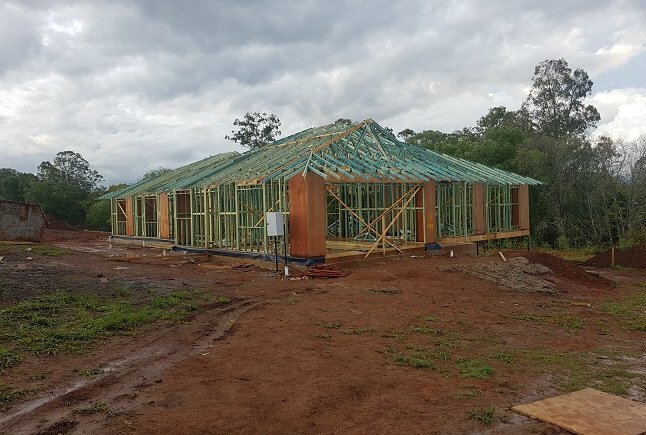 Without finding WA, I would never have been in the position to build our own home. The last 5 years has changed my life in many ways. I'm so glad I wandered into this post, nearly didn't find it, had to wade through all the posts from people talking about their rank and posting useless info to boost their rank...breath of fresh air to find this and see someone working on their site, thanks for the stats and I'm looking forward to reading all your posts. Thanks Mary, i enjoyed making this post and looking back at the 12 months of progress. Not every site is like this obviously, some are slower to get going and others excel much quicker. It looks like you're lucky one. I'm an Amazon affiliate for about nine months. I have aStore and additional Amazon page, put on sale a lot of items from $5.00 and more expensive. It big probability that at least one guy buys something - no way. No purchases at all despite very good traffic. I don't mind you take a look at my website. What do you think? Keep your way. Traffic is almost useless if it is not the buying traffic you want. Have you got many buyers intent keyword posts?. These are where I make all my money. It's not about luck, it's about never giving up and if something isnt working, find out why and fix it!. Anyone can do this. Never stop learning and researching. In particular amazon niche websites if that is how you want to monetize your site. There is a ton of good info online. Thanks for stopping by. Hey Josh, thanks for your awesome post which will help many "newbies" to gain a realistic perspective on building an online business. One question: by the sounds of it, you have quite a few niche sites plus your "WA" site. Do you outsource some of the content writing or are you doing it all by yourself? Congratulations on your new house!!! By the way, I am looking forward to your next case study. I do mostly everything myself. I am a bit weird like that haha. I have been outsourcing articles more and more in 2017, but I still end up editing them. What starts as a 700 word article ends up being 1400 words haha. Hi Josh,really enjoyed your post,Thanks for sharing,And congratulations on moving into your new home must be an awesome feeling..
Just wondering if you only have niches linked to Amazon or have you had much dealings with Ebay or Etsy. Hi Matt, Ive never signed up with ebay, etsy or adsense even. When I found Amazon, I just stuck with them. If it ain't broke kind of scenario. Amazon are strict and sometimes it does feel like walking on egg shells around them. So staying up to date with their terms is an on going battle haha. Thanks for getting back to me so quick Josh. Thanks for sharing this awesome case study! So excited to see the progress and that you really don't always need tons of posts to make money from a site. My WA site has 123 published posts and still doesn't come close to what your case study makes. Maybe mine will pick up after a year, it's about to be 10 months old. I will try and remember to do a 18 or 24 mth update. I don't normally document these stats so its good now cause I can reference this post and see how my other sites are performing. For example I have a 6 mth old site that made $50 last mth which in comparison is much better than this case study site. Sorry I did say this earlier but your new house is going to be awesome! Congrats! Thanks for this info Josh, it's hugely inspirational as I'm just in the process of getting started and not sure what my realistic expectations should be. A question though....do you concentrate more on product review types of posts on your blog, or just info posts. Just curious. Also wondering if backlinking is necessary and something you do. Hi Mary, no I don't do back linking. I just write posts targeting low hanging fruit and share them on social media account. Most of my posts are targeting keywords with buyers intent. About 10-15% would be informational posts. Great inspirational post, thanks Josh. Question -- Aside from 'best of' posts, do you also write many individual product review articles? Does one tend to do better than the other? Also, do you balance out your site with plenty of informational posts as well? Lastly, do you do any backlinking? Oh, one more thing...do you concentrate much on social media to bring in traffic? Thanks!! No backlinking, just finding really descriptive adjective style keywords related to the products. For example instead of the best gaming pc, I would look for ways into the keyword such as 'most powerful PC for HD Gaming' or something like that. I share posts on social media account, but not really an active social marketer. I don't do individual product reviews. Occasionally I do Product A VS Product B reviews as the competition is not as strong. I do mostly buyers intent keywords and about 10-15% info posts. Absolutely Dave. Price point makes a huge difference when dealing with physical products in particular as commissions are lower. Thanks for reading. You appear to be saying to the WA audience that it is their domain name,their content writing, and skill set development that makes the difference in their outcomes. Be Patient! Stick with it! A good reality infusing case study report. Hi Josh, so kind of you to show these numbers, this is incredibly important for everybody who is building an online business. Personally, you have always been an inspiration for me and I have learned a lot from your comments here at WA. What you show is a real struggle, but also persistence that pays off. You knew the system would work so you knew you had to continue with it. But beginners do not know, and tend to give up. This is why it is so important to have such an example to show. Going to bookmark this for sure. What a coincidence, I started a site almost the same time as you, but published twice fewer posts, and far less consistent than you. Have to make such a detailed analysis to fully compare, but I already see a complete similarity with your case. Great to read your thoughts about product prices; in fact I abandoned one site (which was created in the same time as the one mentioned above) because of this same issue. Had to write tons of posts to create any substantial income. You are building a great house there. Interesting for me to see, in EU we are not used to see such type of construction, it seems all wood. Hey Jovo, I think its important that beginners see that it can take several months of nothing happening before something starts to happen. Now whenever anyone asks me how long until I make money I can show them this now haha. Yea product price point can certainly make a huge difference when dealing with amazon. Imagine if these products were all $200 plus. The site would be at $1000 a month already. Yes the house is all timber frame. We also do steel frame here as well which is starting to grow more in popularity. The outside is half brick and half fibrous cement (meant to look like timber boards). I assume much more insulation in the EU as well to handle the colder weather.